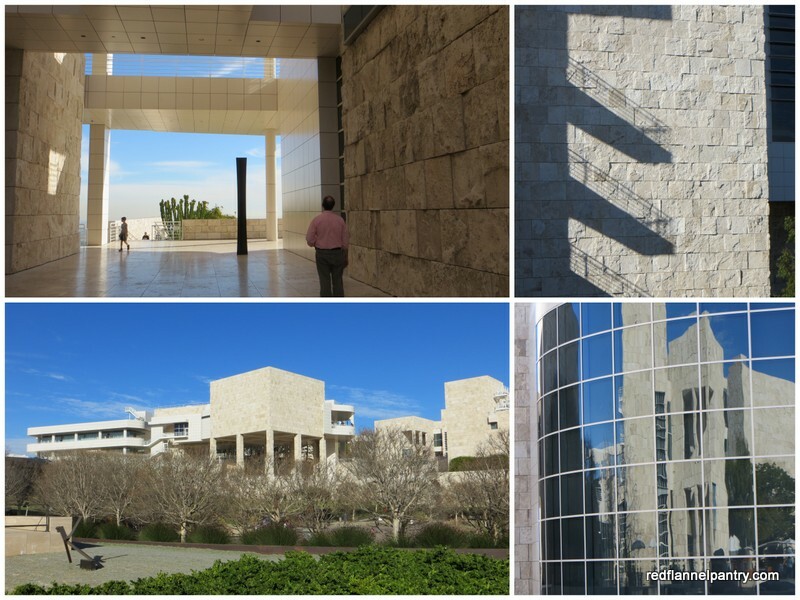 My husband, Daughter #2 and I visited Los Angeles last weekend and had a fabulous time. D#2 and I had never been there before, so traveling from our freezing temps to sunny and unseasonably warm (even for there) southern California was a bit surreal. At Griffith Observatory we spied this little hummer buzzing around plantings at the base of the Astronomers Monument. 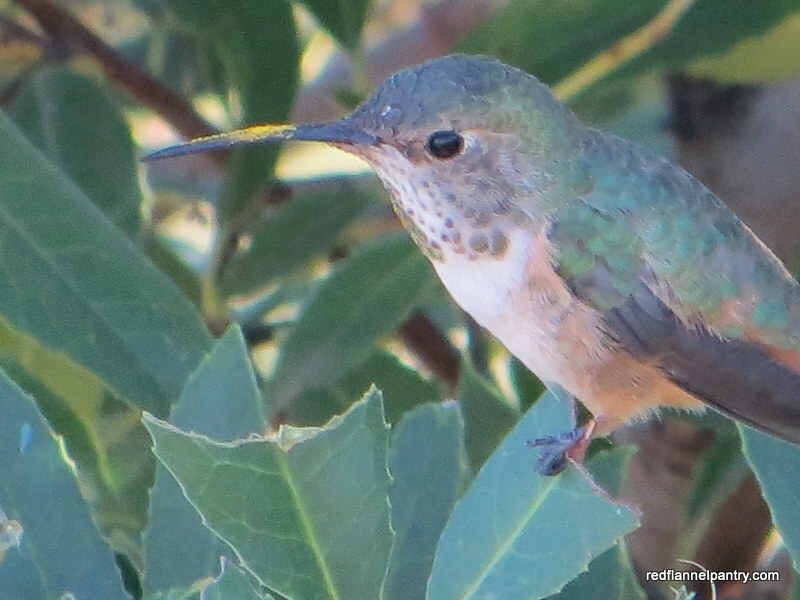 I think it was an Anna’s hummingbird. 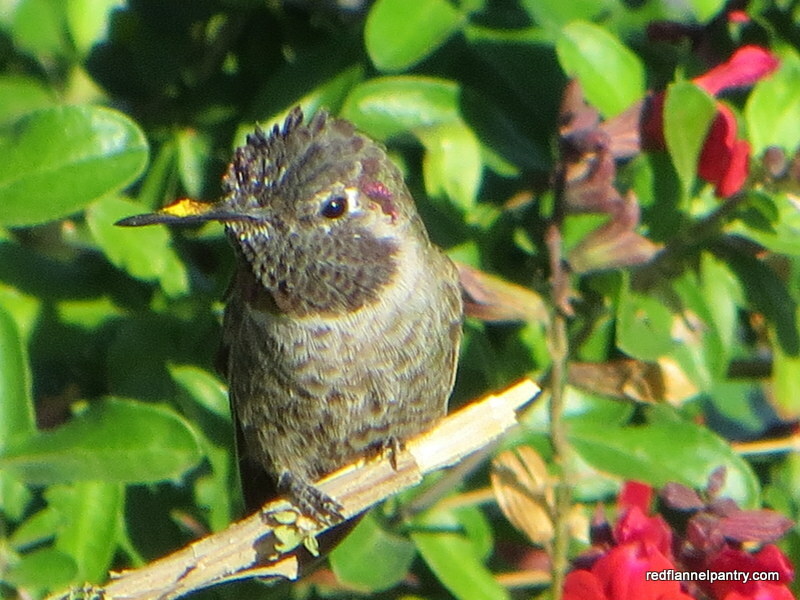 See the dusting of pollen on her beak? Also at Griffith Observatory, this wee hummingbird paused long enough for me to snap a quick photo. 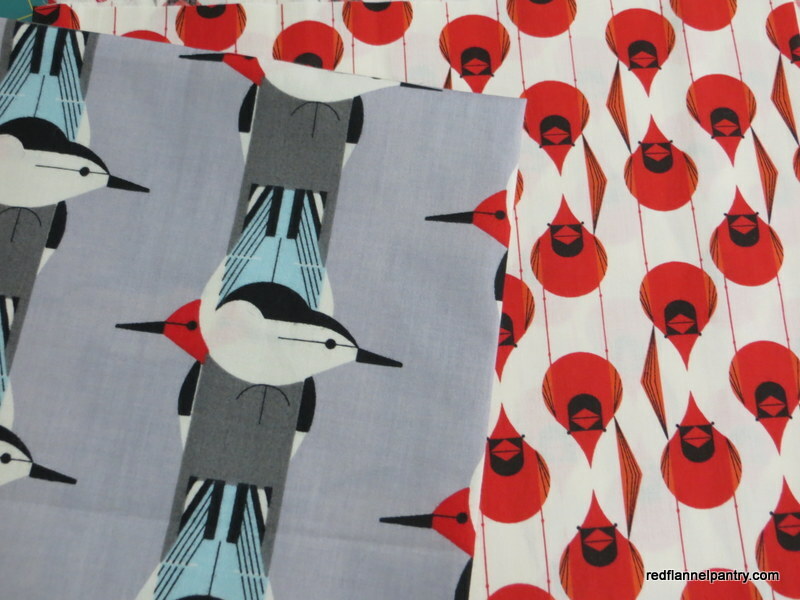 My guess is that it was a black-chinned hummingbird. Like the other, she also had a pollen smudge on her beak. 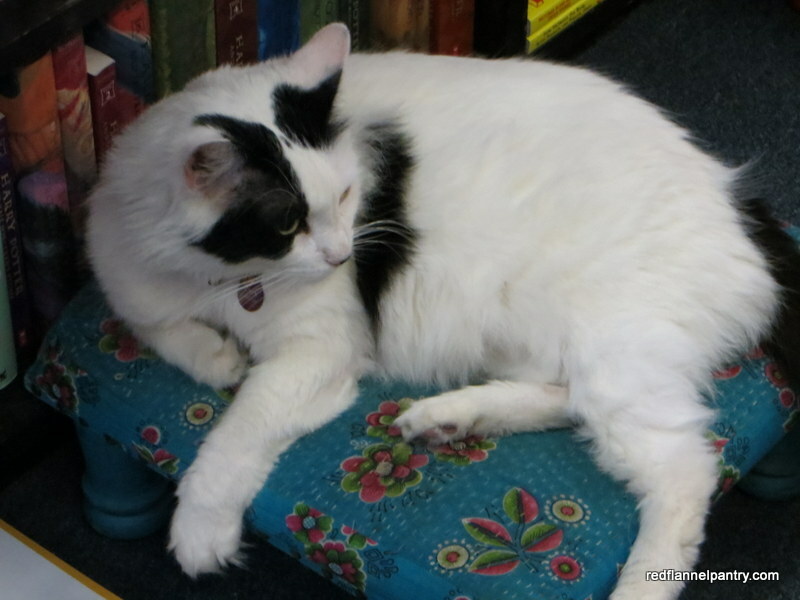 While at Venice Beach, we visited with fauna of the domestic variety at Small World Books, a quiet intellectual haven in all of the craziness. Conan is the resident cat librarian; he gladly assumed a studied casual pose for us Midwestern tourists. 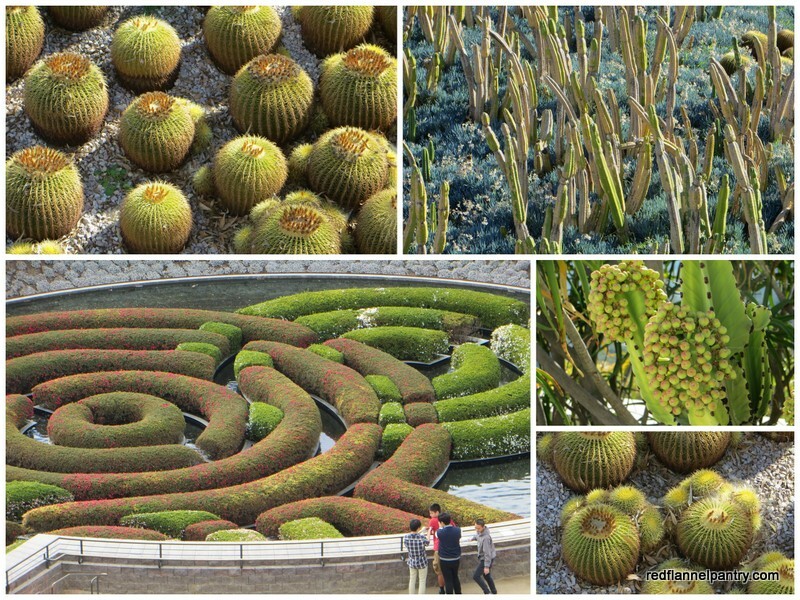 The Getty Center stunned us with its gardens and architecture (we bow down to you, Richard Meier). It felt like we were at Starfleet Academy. 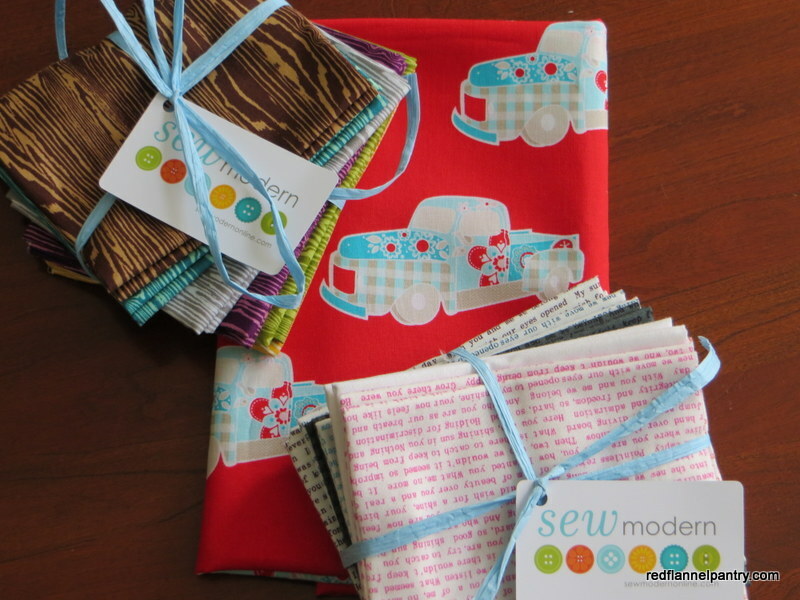 On our last day there, my husband and daughter indulged me in visiting Sew Modern. We arrived before official opening hours, but the door was propped open because some renovation work inside the store was in progress. The owners kindly welcomed us in and let me prowl around while I wished I had a huge empty suitcase to cram full of fabric. 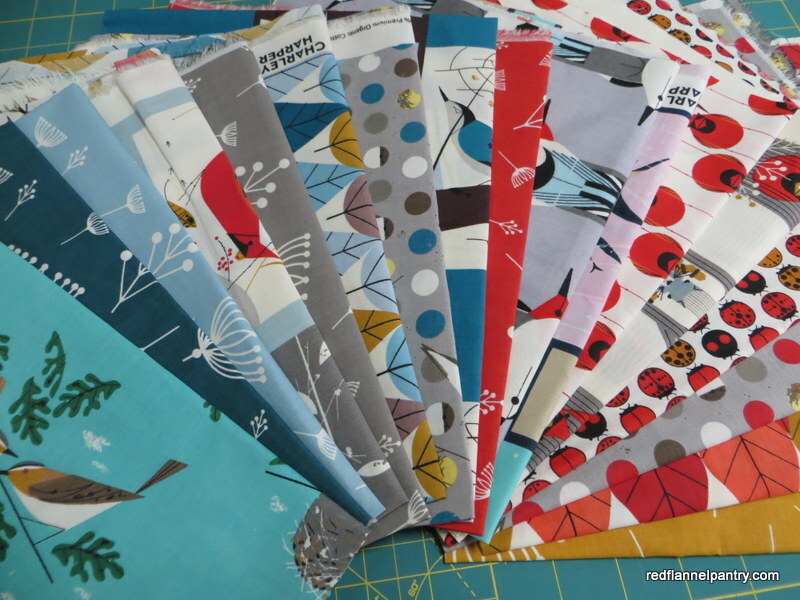 However, showing a great deal of restraint, I walked out with only these lovely pieces. On our way home last weekend, after drinking far too much coffee at the Frontier Café in Grinnell, I needed a rest stop. We came upon one west of Iowa City and I dashed in, paying attention only to the location of the restrooms. 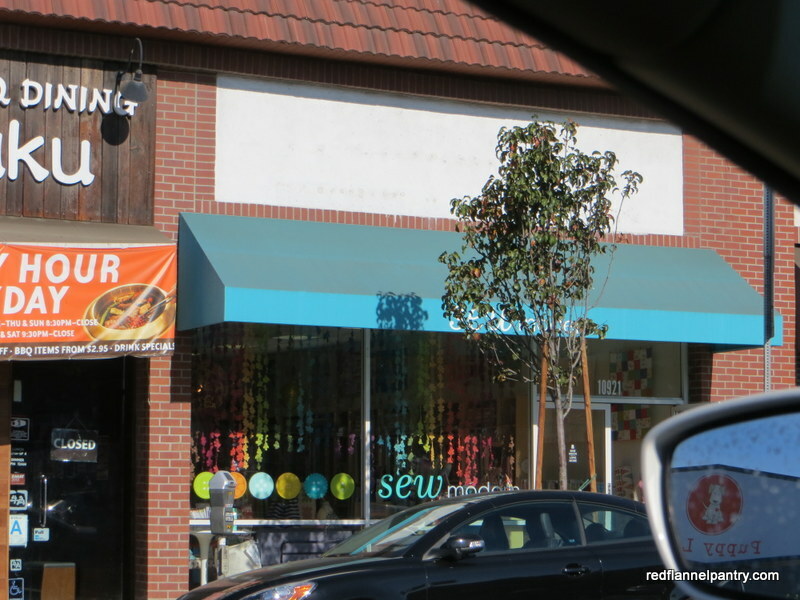 Afterward, no longer distracted, I recognized the literary theme of the design of the place. Each picnic shelter has a steel wall featuring a laser-cut quote by an author or poet. The ones above are my favorites. 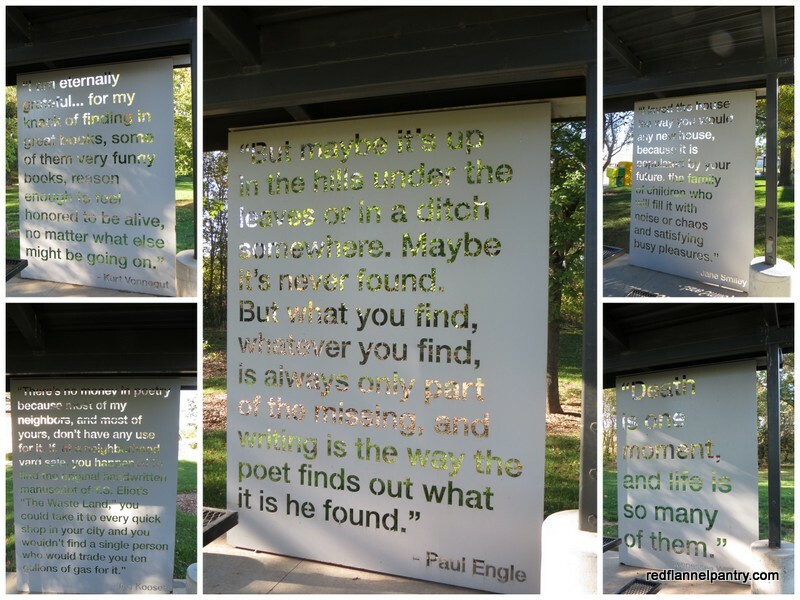 With the Iowa Writers’ Workshop in nearby Iowa City, Paul Engle’s words here are fitting. With the trees, cornfields and sky visible through the cut-out text, reading “maybe it’s up in the hills under the leaves” had a visual and visceral impact. 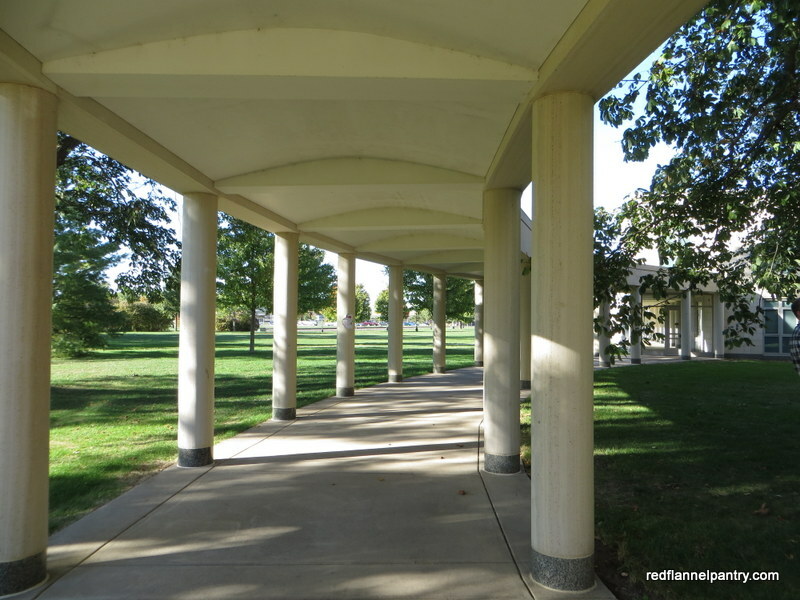 This rest area is in Tiffin, Iowa, I-80, mile marker 237. While in Iowa last weekend for meetings at Grinnell College, my husband and I took a walk on the east side of campus. When we attended Grinnell in the 1980s, this part of campus was undeveloped; the only building east of the railroad tracks on this block was the health center, a nondescript, low-slung brick building. Now a new row of dorms lines East Street. We admired the way the architect oriented these dorms in relation to those on North Campus: when you stand in the arch between Rawson and Gates Halls and look east, you can see clear through the arch in Rose Hall down 9th Street to the park on Penrose. The sightline seems endless. For a moment we puzzled about this bend in the loggia–when everything else is so linear, why the curve here? We looked to the east and realized why. A giant yellow buckeye tree (Aesculus flava) stands between Lazier Hall and Kershaw Hall. My husband was delighted at the find. 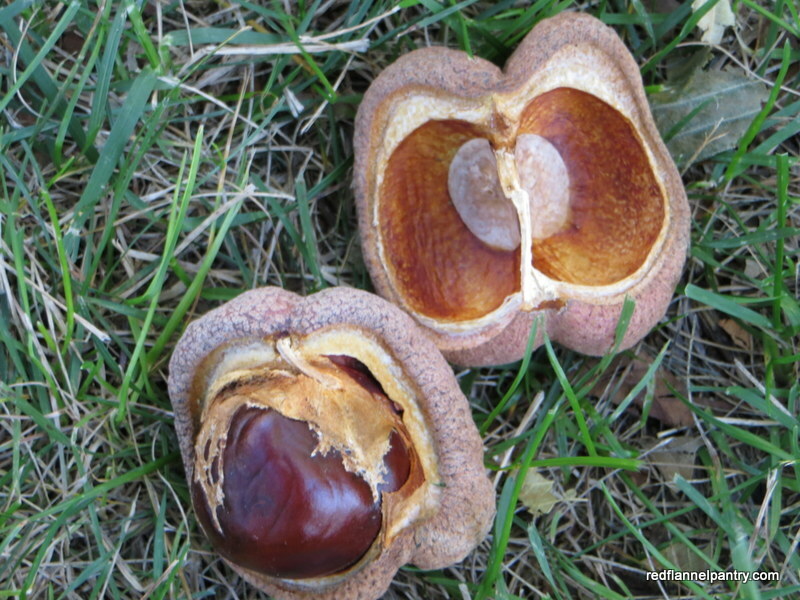 Compared to the Ohio buckeye, the yellow buckeye tree is much taller and the leathery husk on the fruit is smooth versus the Ohio buckeye’s spiny, warty husk. 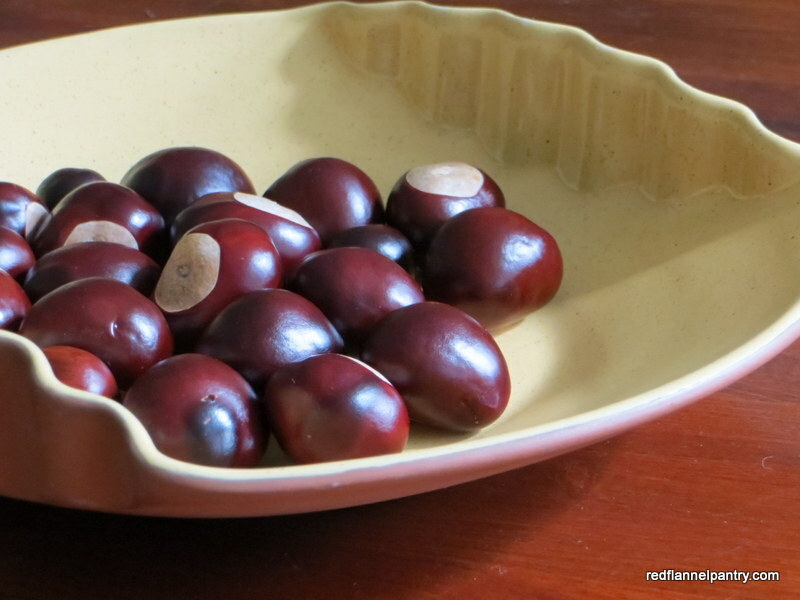 The name “buckeye” describes the nut’s appearance, which is said to resemble a male deer’s eye. 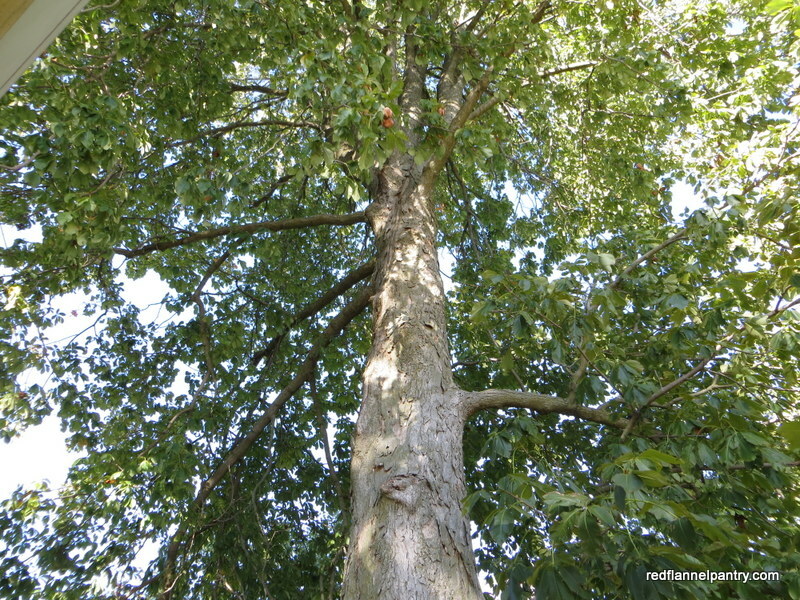 I checked the Iowa Department of Natural Resources website, and I found this particular tree on their Big Trees of Iowa list. At last measure, it was 74 feet tall, with a 9-foot, 3-inch trunk circumference. Buckeyes littered the ground and we gathered up as many as we could carry. As my father-in-law and our friend Mary Kate have told us, buckeyes are good-luck charms. When they were kids, they would carry them in their pockets for good luck and rub them on their noses to shine them up. My husband remembers there being another buckeye tree outside the college bookstore. During the fall, he would pocket buckeyes on his way to class. Sadly, that tree is gone. 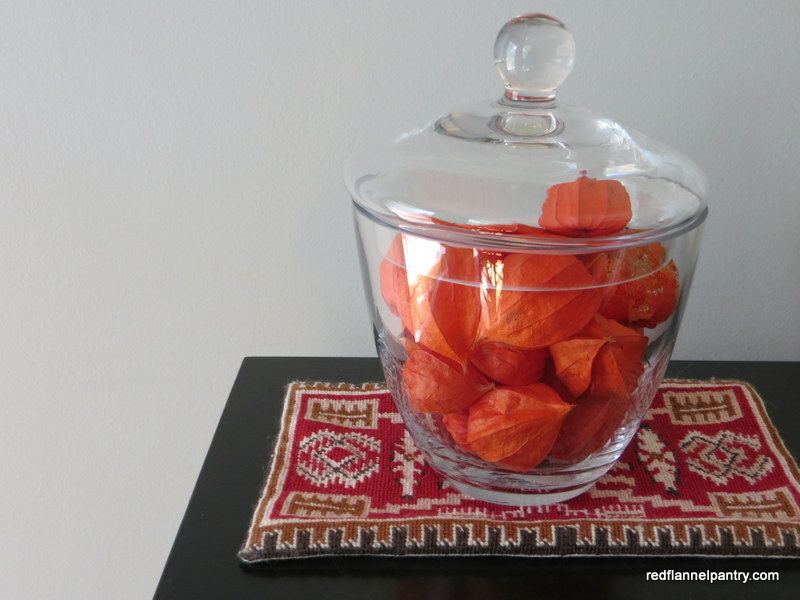 We brought the buckeyes home, intending only to display them. However, when we showed our find to Daughter #2, she asked, “Why don’t you try to grow a tree?” I am always up for a gardening challenge! The germination rate is only 50%, so I think I will plant several in pots and leave the pots outdoors for the winter, watering occasionally. We’ll see if anything emerges in the spring. 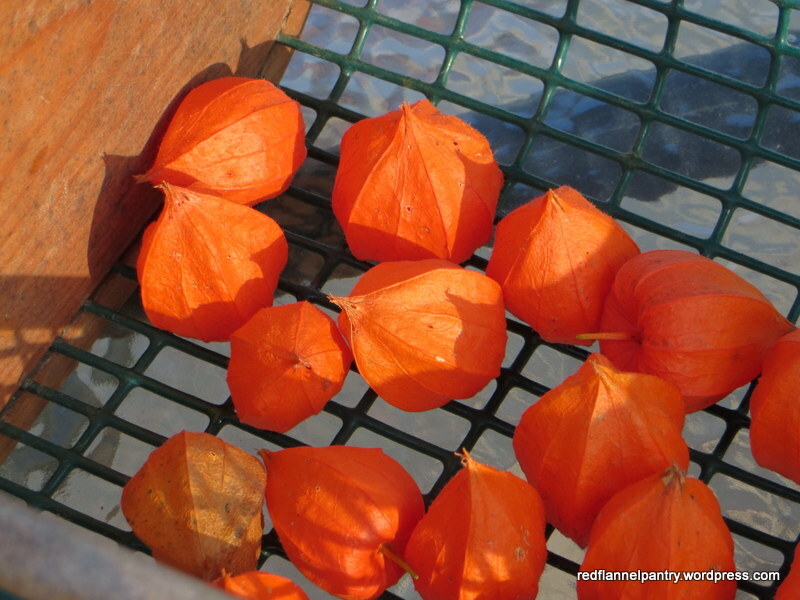 Last fall my friend, Jackie, admired my arrangements of Chinese lanterns (Physalis alkekengi), both on stems in a vase and the seed pods displayed in a glass pumpkin jar. Since I didn’t get my act together for her birthday this summer, yesterday, as a belated birthday present, I gave Jackie a jar of Chinese lanterns I collected. 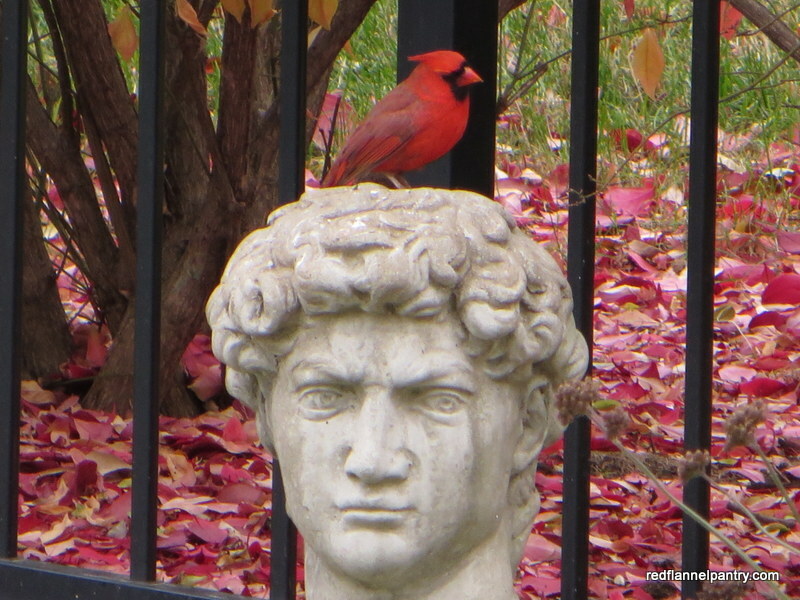 They make a lovely fall decoration and keep for several years. I cut them from their stems, set them on a rack in the garage, and let them dry for a couple of weeks. I am a sucker for their vivid orange hue and delicate papery husks. Be warned, however: this plant is highly invasive. Accept divisions at your own risk! 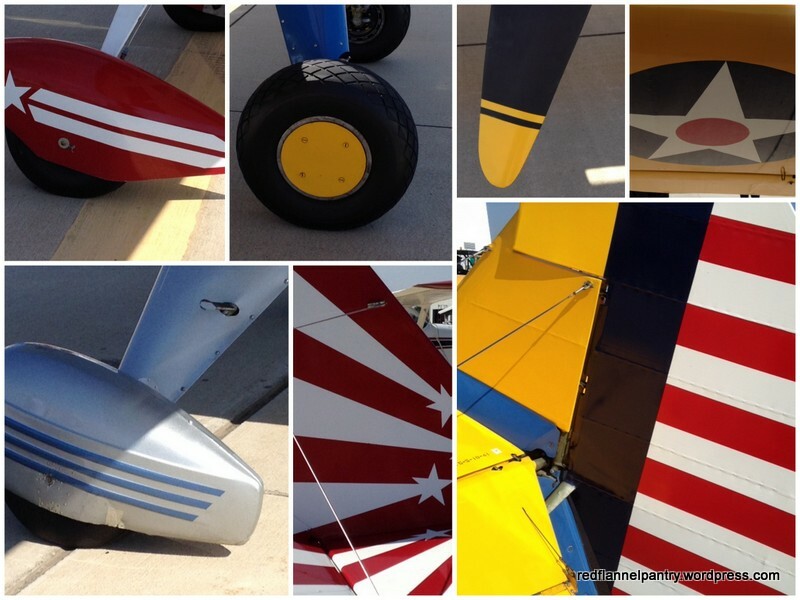 This weekend my husband and I attended the St. Louis Regional Airport fly-in and car show in Bethalto, Illinois. He got his mechanical geek fix while I found design inspiration everywhere. 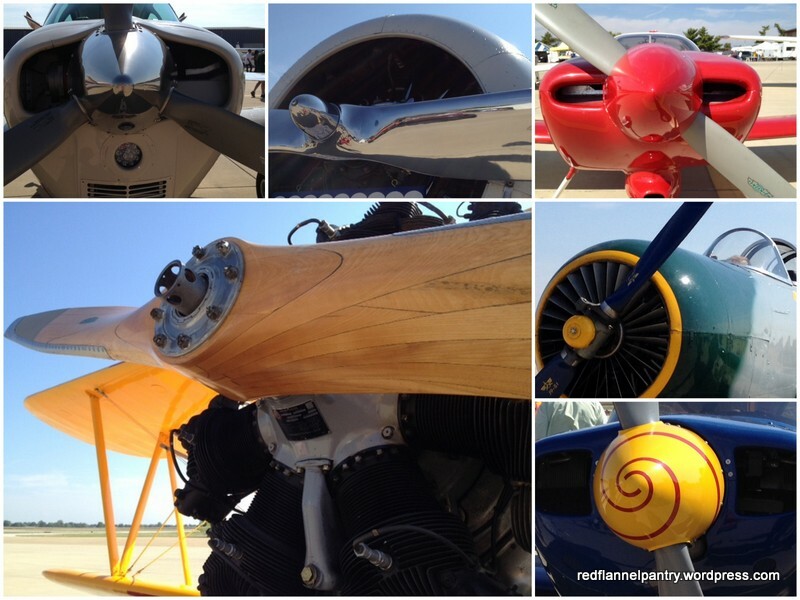 These planes were beauties. I appreciated the keen design aesthetic of their aeronautical engineers and builders. Many were experimental aircraft or refurbished military airplanes. 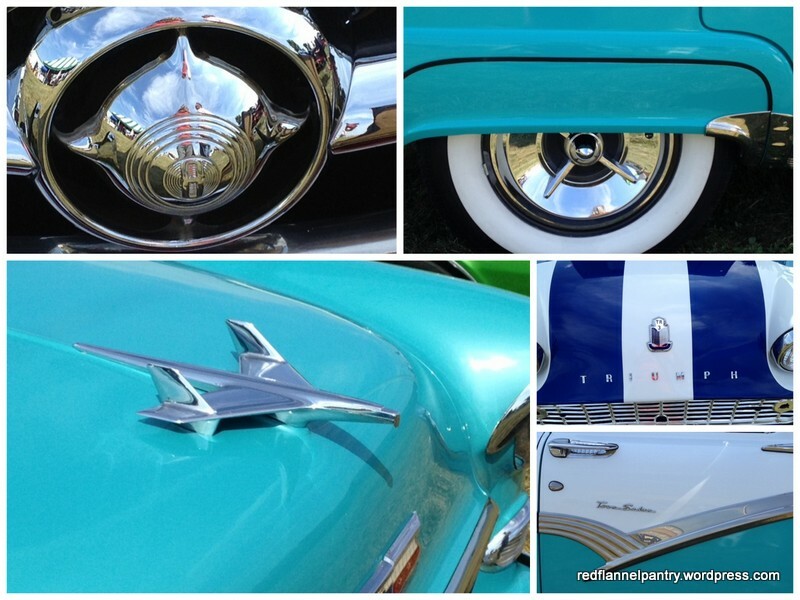 The classic cars were gorgeous as well. After looking at my photos, I realize I have a strong penchant for turquoise!